The world seems to go on, no matter what happens. Perhaps it is the human condition that those who suffered so we can live are soon forgotten. Perhaps it is the human condition that we do not appreciate the sacrifice others have made for us. Perhaps it is the human condition that we refuse to learn from the past. Those who survived and have become the witness devote their lives to us, to teach us, so that we understand, so that we remember, so that we do not make the same mistakes. They work hard so that their horrible past does not become our chosen future, chosen by our sins of omission and our foolish ignorance. In Israel we ask our young people for a lot; we ask them for their future. Philip Moscow and Noam Myerson gave us their future, as did so many thousands of others, and we shall not forget them. Their names are engraved on our walls and monuments, their faces remain in our memories, so youthful and full of hope. They gave their futures for the sake of Israel, our nation. In every society there are those who give their futures for the sake of their nation. They not only deserve to be honored and remembered but more importantly, they deserve that the lessons they taught be learned. For learn them we must. Our neighbors are taken away and we say nothing, no outcry. Our fellow human beings suffer and we utter no sound of protest. But the noble man, the noble woman, the noble spirit emerges. Irena Sendler, Miep Gies, and so many others, emerge. They are the true super heroes, they are the true celebrities. For them this is how we live, we are not selfish, it is not "all about me" as today's generation believes. There is even a new car called, all about mii. For them it was all about being a decent human being; they never thought of themselves as special (unlike today's celebrities who in their own demented minds think they are special). When a healthy body is hit it cries out in pain, and when a healthy community is hit, the entire body must cry out in pain. The cry is perhaps a primitive call for unity and action. Hear my outcry and come together as one, let the tribe come together and take action for the collective benefit. It is not all about me, mii, or moi, it is all about the human community. 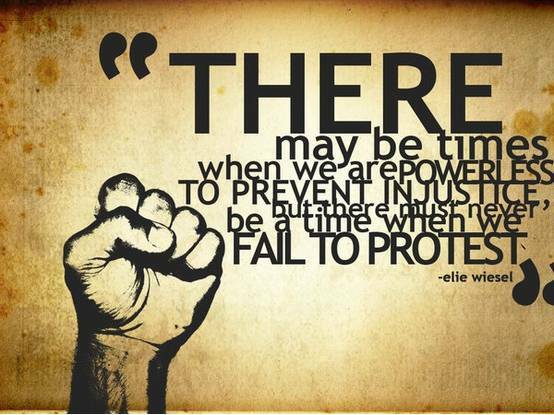 Rise up and protest, stand up and be counted, for otherwise you are part of a pathetic apathetic community that does not deserve even our pity. Get up stand up, and don't give up the fight. Elie Wiesel, the Holocaust witness, got up, stood up and did his part. Today many say the Holocaust never happened, for they want it to happen again. Today many want to boycott Israel for they are true haters and racists and want to bring about the end of Israel and the genocide they dream off. Today many spread lies for they are filled with ugliness and are rotten to the core. And the world is mostly silent. Crime spreads, hatred spreads, and at the core are lies, ugliness and people who are rotten to the core. And we must stand up before this cancer devours all that is good and decent. It all begins with an outcry. At first the task may seem impossible, the odds insurmountable. With IKI Krav Maga we begin with one student training in the garage or in the park, then two, then a small group and a rented room, and soon an international organization spreading hope, empowerment and truth all over the world. We stand for what is right. We admire true humanity and true human heroes. We when see injustice we begin with an outcry, and that becomes a ray of hope and finally...after much work, a shout of triumph. 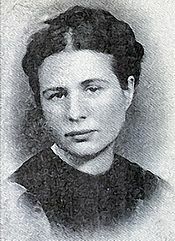 Irena Sendler (née Krzyżanowska), also referred to as Irena Sendlerowa in Poland (15 February 1910 – 12 May 2008), was a Polish nurse and social worker who served in the Polish Underground in German - occupied Warsaw during World War II, and was head of the children's section of Żegota, the Polish Council to Aid Jews (Rada Pomocy Żydom), which was active from 1942 to 1945. Assisted by some two dozen other Żegota members, Sendler smuggled approximately 2,500 Jewish children out of the Warsaw Ghetto and found them shelter. 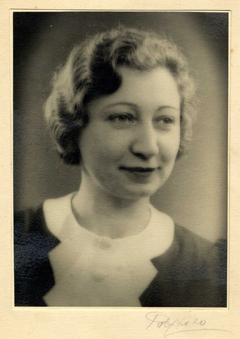 Hermine Santruschitz (15 February 1909 - 11 January 2010), better known as Miep Gies was one of those who hid Anne Frank and her family and guests during World War Two and protected them from the German and Dutch Nazis. She was born in Austria but at age 11 was taken in by a Dutch foster family. She became a Dutch citizen and spent the rest of her life living in the Netherlands. She was born in Austria, Hitler was born in Austria. Can we blame the country of birth?? Praised be those wonderful souls who emerged and rose to greatness, cursed be those wretched souls who sank to evil and destruction. Miep and her co workers sheltered Anne Frank, her sister Margot and her parents Otto and Edith as well as four other Jews; Fritz Pfeffer, Hermann van Pels, Auguste van Pels, and Peter van Pels.. Train in Israel, groups, individuals. Immerse yourself in two weeks of intensive Krav Maga training, learn the Israeli combat mindset, the way of the Hebrew warrior. Tour sites relevant to the history of Krav Maga. Meet Krav Maga students from all over the world. On Amazon and Createspace, the history of Israel as a fighting nation from Biblical times to our own IDF, the most moral and effective military in the world.